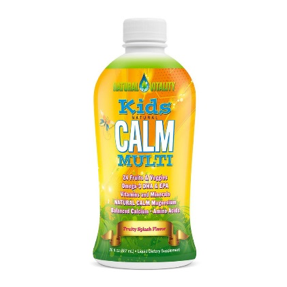 Kids Natural Calm Multi combines the beneficial effects of magnesium with a comprehensive premium multi to provide children with key nutrients missing from their diets. Calcium and magnesium are key nutrients that need to be in balance with each other in order for good health to be fully maintained. Calcium excites nerves, while magnesium calms them down. Calcium makes muscles contract. Magnesium is necessary for muscles to relax.